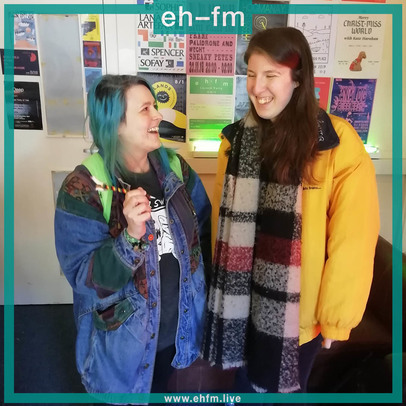 We – Tallah Brash (Music Editor) and Nadia Younes (Clubs Editor) – were back on the radio today (15 Apr) for our fifth show on Edinburgh community station EH-FM. Our show happens every Monday from 12-2pm and is your go-to guide for what's on that week in the world of gigs and clubs across Scotland; listen back to our latest show in the below Mixcloud player, which featured lots of lovely new music, Song, by Toad news and a closer look at the Easter weekend's two big club offerings – Terminal V: The Rising in Edinburgh and Maximum Pressure Easter in Glasgow. With the two of us struggling with sore throats, the banter was dafter than usual. Enjoy.